AquaBlok, Ltd. is an independently owned, privately held manufacturing company based in Northwest Ohio. 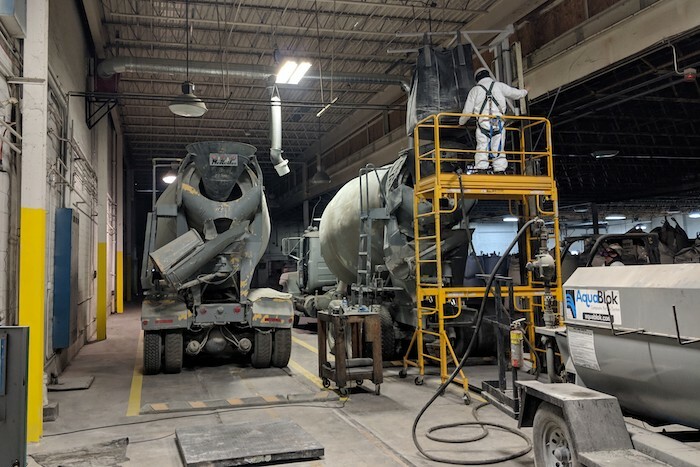 Founded by civil and environmental engineers and scientists, it is backed by decades of experience in coating technologies and environmental remediation. Supported by a strong group of private investors and an experienced Board of Directors, AquaBlok is well-equipped to continue its history of technical innovation and strong engineering design and application support. AquaBlok has applied a range of patented composite particle manufacturing approaches to develop sealing and remediation materials that are simple in concept: a thin layer of high-value powders are coated on a stone, aggregate, or other core material. Typically, these powdered coating materials are bentonite, modified minerals, or active amendments. This approach provides a cost-effective way to accurately, uniformly, and simply provide placement and maximize performance. AquaBlok offers standard product formulations and can customize products to incorporate other proprietary amendments to meet site-specific conditions and challenges. From low-permeability sealing to in-situ treatment-specific formulations, AquaBlok’s product technology has been recognized, and AquaBlok-based solutions have been accepted by the U.S. EPA and state regulatory programs for remediation projects throughout the US. They have been applied to a wide range of sealing and geotechnical engineering applications. AquaBlok’s headquarters, lab, and primary manufacturing facility are located at one location in Swanton, Ohio, just west of Toledo. At this location, AquaBlok has further expanded expertise in product development, quality control, and manufacturing to address specific engineering and environmental challenges. Stop by sometime! Customers and industry associates are encouraged to visit AquaBlok’s facilities and learn more about their capabilities firsthand. Ongoing product development, testing, and quality control are integral parts of AquaBlok’s daily operations. The lab facility has ASTM Hydraulic Conductivity testing, column testing, ovens, particle size segregation, and a wide range of other testing equipment. During production operations and after material placement, AquaBlok supports customers with quality control and material testing to quantify and verify material qualities and characteristics. Contact AquaBlok to learn more about their project support capabilities. AquaBlok's production facility is capable of efficiently supporting large project requirements. Their batch production approach includes high-volume aggregate handling and a large under-roof storage facility for significant dry inventory capacity. AquaBlok has also provided on-site manufacturing operations in California, Alabama, and Maine, to name a few. Having also performed on-site production in Alaska, Norway, and Australia, the company is not limited to projects in the Continental United States. AquaBlok’s on- or near-site production and manufacturing capabilities have supported project material requirements of more than 30,000 tons. Please contact AquaBlok to find out how they can cost-effectively fulfill your project needs.